Best defibrillator for all your needs! Only the best home (or portable) defibrillators will do when you are trying to protect your health or the health of someone you love. These are very sophisticated (keeping in view their engineering not for their usability) devices that can help normalize the heart rhythm of someone in cardiac arrest. In the past, you would only find machines like this in a hospital or an ambulance. Now, however, there are home units you can purchase without a prescription, depending on where you live or what you do. Our today’s post explores various features that are necessary for defibrillators to quality as the best. A home defibrillator is no better than its batteries. Just like in any electronic device, a dead battery means the unit will not work. This is not, however, like a cell phone or a portable CD player, where you have time to recharge or replace the batteries, as someone’s life may be on the line. Good models will have an internal system that monitors battery strength and other functions. Problems with the battery should be easy to see when you look at the device. Make a point of checking out reviews to see what is said about battery performance, life, and functionality. When you are researching and shopping for the best home defibrillators, one obvious but important consideration is that there has to be someone nearby to administer the help. A person having a heart problem will most likely not be able to use the machine on himself, so you don’t only need the device, but a person who is able to use it close at hand. It may be necessary to squat or sit on the floor in order to operate the device. Most people will be able to do this, but in some cases, such as elderly couples where both partners are in poor health, this might be an issue. It’s not enough to just buy the device you also need someone nearby who can operate it. Investigate the warranties that are offered because companies that truly make the best home defibrillators will offer one to show they stand behind their products. You’re making a pretty substantial investment when you purchase this device. Because of this you need to be confident of the ability to repair or replace the unit in the event that something goes wrong. Different companies offer warranties of various lengths. You need to know that the home defibrillator you purchase is reliable and a good warranty is the manufacturer’s way of letting you know they stand behind their product. When buying a device like a home defibrillator, it is really worth the effort to get the best. Because this product is designed to save the lives of you or someone you love, you do not want to sacrifice necessary features. Make sure you research all the major brands and see if one has certain features that are especially important to you. Each of these things will help you identify the best defibrillator for your needs. Now there is one product you will get all mentioned above and many other qualities to give equal value to your investment and that is Defibtech’s AED devices. See below link to advantages and salient features of Defibtech’s AED devices. 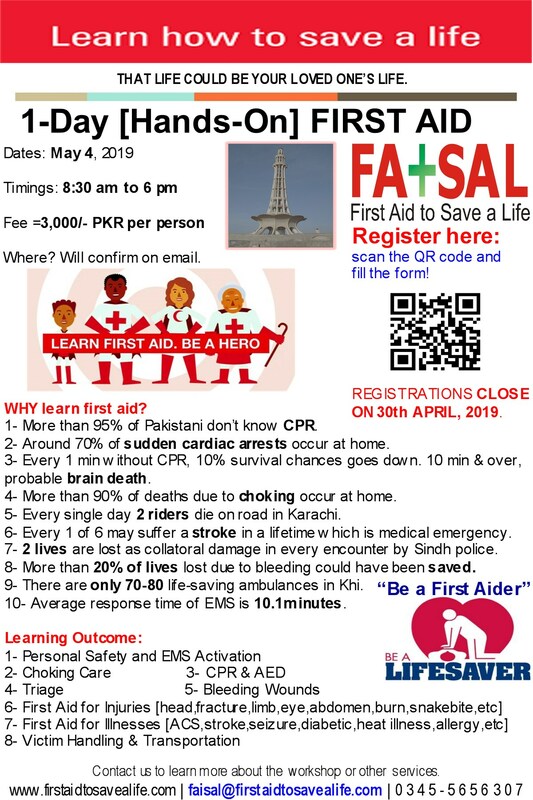 This entry was posted in AEDs, CPR and AED, Emergencies and Social Media, First Aid CPR and AED and tagged aed training programs in pakistan, aed trainings in pakistan, AEDs for home use, aeds in pakistan, automated external defibrillator, automated external defibrillators in pakistan, best home defibrillators, Cardiac arrest, Defibrillation, defibtech aed, defibtech in islamabad, defibtech in karachi, defibtech in pakistan, distrubutors of aeds in pakistan, low price aeds availability in pakistan, official partner of defibtech in pakistan. Bookmark the permalink. 1 Response to Best defibrillator for all your needs!